Obituary for Timothy Allen Coffman | DellaVecchia, Reilly, Smith & Boyd Funeral Home, Inc.
Timothy Allen Coffman of Spring City passed away on August 23, 2018 at the age of 57. Born May 31st 1961, in Canadensis, Pennsylvania, he was the son of Sherwood Coffman and the late Joan Marie Cutillo Coffman. He is survived by his father, his two sisters, Deborah Coffman (Dave) Foster and Kellie Coffman (Tony) Hersch, and his children, Heather James, Brandon Coffman, Colton Coffman, and Jesse Coffman, as well as many aunts, uncles, cousins, nieces, and nephews. He was a loving father, grandfather, and dog owner who enjoyed giving matchbox cars and spare change to his grandson, walking his dog Smokey around the neighborhood, and going out to dinner with friends. 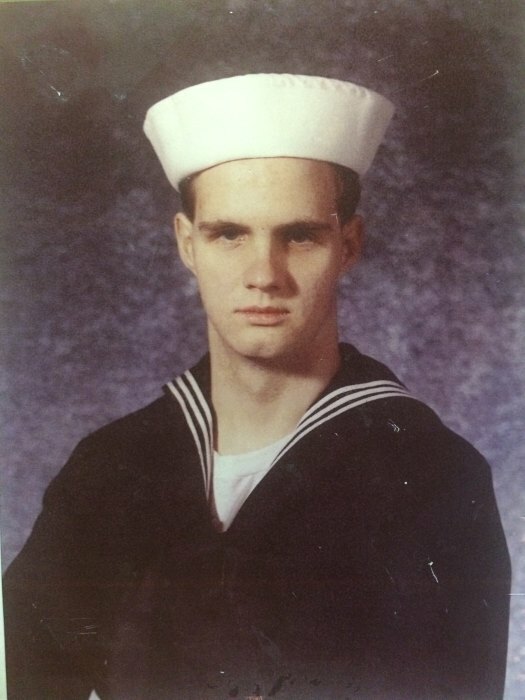 Tim was a part of the Pocono Mountain High School Class of 1980 and was a United States Navy veteran who served on the U.S.S. Barney as a steam mechanic. His family owned Coffman Custom Kitchens where he worked making and installing custom kitchen and bathrooms. Tim also worked as a mechanic and appliance installer. He could fix anything and loved tinkering around in his shop, especially on cars and trucks. You could usually find him at Liberty Firehouse in Spring City, Pennsylvania, sitting in what his friends called “Tim’s Corner.” Tim also enjoyed serving his community as a part of the ‘88-‘92 Phoenixville Jaycees. Relatives and friends are invited to his Celebration of Life on Sunday, August 26th from 1:00pm to 3:00pm at the Liberty Firehouse at 20 South Main Street Spring City, Pennsylvania 19475. In lieu of flowers, contributions may be made to the Wounded Warrior Project or an animal rescue organization of your choice.